Neural correlates of music recognition in Down syndrome. The brain mechanisms that subserve music recognition remain unclear despite increasing interest in this process. Here we report the results of a magnetoencephalography experiment to determine the temporal dynamics and spatial distribution of brain regions activated during listening to a familiar and unfamiliar instrumental melody in control adults and adults with Down syndrome (DS). In the control group, listening to the familiar melody relative to the unfamiliar melody, revealed early and significant activations in the left primary auditory cortex, followed by activity in the limbic and sensory-motor regions and finally, activation in the motor related areas. In the DS group, listening to the familiar melody relative to the unfamiliar melody revealed increased significant activations in only three regions. Activity began in the left primary auditory cortex and the superior temporal gyrus and was followed by enhanced activity in the right precentral gyrus. These data suggest that familiar music is associated with auditory-motor coupling but does not activate brain areas involved in emotional processing in DS. These findings reveal new insights on the neural basis of music perception in DS as well as the temporal course of neural activity in control adults. Brain Cogn. 2012 Dec 27;81(2):256-262. doi: 10.1016/j.bandc.2012.11.007. Virji-Babul N, Moiseev A, Sun W, Feng T, Moiseeva N, Watt KJ, Huotilainen M. Department of Physical Therapy, University of British Columbia, Canada. Electronic address: nvb31@mail.ubc.ca. Effects of music therapy and guided visual imagery on chemotherapy-induced anxiety..
Full title: Effects of music therapy and guided visual imagery on chemotherapy-induced anxiety and nausea-vomiting. AIMS AND OBJECTIVES: To reveal the effects of music therapy and visual imagery on chemotherapy-induced anxiety and nausea-vomiting. BACKGROUND: Behavioural techniques such as music therapy and visual imagery are becoming increasingly important in dealing with chemotherapy-induced anxiety, nausea and vomiting. DESIGN: The study is an experimental and cross-sectional one and performed on a single sample group with the pre-post-test design consisting of 40 individuals. The individuals in the sample group comprised both the control and the case group of the study. METHODS: To obtain the study data, the following forms were used: the Personal Information Form, Spielberger State-Trait Anxiety Inventory, The Visual Analogue Scale and Individual Evaluation Form for Nausea and Vomiting adapted from The Morrow Assessment of Nausea and Vomiting. RESULTS: In the study, the participants' state and trait anxiety levels decreased significantly (p < 0·05). Music therapy and visual imagery reduced the severity and duration of chemotherapy-induced nausea and vomiting significantly (p < 0·05). In our research, 40% of the patients did not have anticipatory nausea and 55% of the patients did not have anticipatory vomiting during the third chemotherapy cycle during which music therapy and guided visual imagery were implemented. This study is worthy of interest as it has revealed that music therapy and visual imagery which have been proven to be effective in many health problems in different areas are also important, and practical complementary approaches that are effective in getting chemotherapy-induced anxiety, nausea and vomiting under control. J Clin Nurs. 2013 Jan;22(1-2):39-50. doi: 10.1111/jocn.12030. Epub 2012 Nov 8. Karagozoglu S, Tekyasar F, Yilmaz FA. Department of Fundamentals of Nursing, Division of Nursing, Cumhuriyet University Faculty of Health Science, Sivas. Full title: Cardiovascular effects of music by entraining cardiovascular autonomic rhythms music therapy update: tailored to each person, or does one size fit all? Music goes back a very long way in human experience. Music therapy is now used in many disparate areas-from coronary care units to rehabilitation after a stroke. But its widespread adoption has a poor scientific evidence base, founded more on enthusiasm than on proper evaluation in any controlled way. This has led to a lack of clarity about whether any particular type of music is superior, or whether different types of music should be tailored to differing individuals. We therefore conducted a series of controlled studies in which we examined the effects of different styles of music-from raga to jazz-presented in random order to normal young subjects (both musically trained or not). We found that contrary to many beliefs the effect of a style of music was similar in all subjects, whatever their individual music taste. We also found that this effect appeared to operate at a sub-conscious level through the autonomic nervous system. Furthermore, musical or verbal phrases of a 10 s duration (which coincided with the normal circulatory 'Mayer' waves) induced bigger excursions in blood pressure and heart rate (reciprocal of pulse interval) and so triggered more vagal slowing and feelings of calm. These findings need to now be tested in the clinical setting since, if confirmed, this would greatly simplify the practical use of this promising tool. Neth Heart J. 2012 Dec 6. Sleight P. Cardiovascular Medicine, University of Oxford, Oxford, UK, peter.sleight@attglobal.net. Objective: To investigate whether listening to pleasant music improves visual attention to and awareness of contralesional stimuli in patients with unilateral neglect after stroke. Methods: A within-subject design was used with 19 participants with unilateral neglect following a right hemisphere stroke. Participants were tested in three conditions (pleasant music, unpleasant music and white noise) within 1 week. All musical pieces were chosen by the participants. In each condition, participants were asked to complete three sub-tests of the Behavioural Inattention Test (the Star Cancellation Test, the Line Bisection Test and the Picture Scanning test) and a visual exploration task with everyday scenes. Eye movements in the visual exploration task were recorded simultaneously. Mood and arousal induced by different auditory stimuli were assessed using visual analogue scales, heart rate and galvanic skin response. Results: Compared with unpleasant music and white noise, participants rated their moods as more positive and arousal as higher with pleasant music, but also showed significant improvement on all tasks and eye movement data, except the Line Bisection Test. Conclusion: The findings suggest that pleasant music can improve visual attention in patients with unilateral neglect after stroke. Additional research using randomized controlled trials is required to validate these findings. Brain Inj. 2013;27(1):75-82. doi: 10.3109/02699052.2012.722255. Chen MC, Tsai PL, Huang YT, Lin KC. Department of Occupational Therapy, National Cheng Kung University , Tainan , Taiwan. Full title: Effect of oriental medicine music therapy on patients with Hwa-byung: a study protocol for a randomized controlled trial. Hwa-byung, a Korean culture-bound syndrome with both psychological and somatic symptoms, is also known as 'anger syndrome'. It includes various physical symptoms including anxiety, a feeling of overheating, a sensation of pressure on the chest, heart palpitations, respiratory stuffiness, insomnia, and anxiety.Methods/designThe proposed study is a single-center, double-blind, randomized, controlled trial with two parallel arms: an oriental medicine music therapy (OMMT) group and a control music therapy (CMT) group. In total, 18 patients will be enrolled into the trial. The first visit will be the screening visit. At baseline (visit 2), all participants fulfilling both the inclusion and the exclusion criteria will be split and randomly divided into two equal groups: the OMMT and the CMT (n = 24 each). Each group will receive treatment sessions over the course of 4 weeks, twice per week, for eight sessions in total. The primary outcome is the State-Trait Anxiety Inventory (STAI), and the secondary outcomes are the Hwa-byung scale (H-scale), the Center for Epidemiologic Studies Depression Scale (CES-D), the Hwa-byung visual analogue scale (H-VAS) for primary symptoms, the World Health Organization Quality of Life scale, brief version (WHOQOL-BREF), and levels of salivary cortisol. Patients will be asked to complete questionnaires at the baseline visit (visit 2), after the last treatment session (visit 9), and at 4 weeks after the end of all trial sessions (visit 10). From the baseline (visit 2) through the follow-up (visit 10), the entire process will take a total of 53 days. DISCUSSION: This proposed study targets patients with Hwa-byung, especially those who have exhibited symptoms of anxiety. Therefore, the primary outcome is set to measure the level of anxiety. 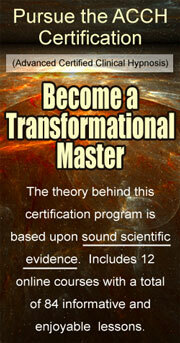 OMMT is music therapy combined with traditional Korean medicinal theories. Unlike previously reported music therapies, for which patients simply listen to music passively, in OMMT, patients actively move their bodies and play the music. Because Hwa-byung is caused by an accumulation of blocked emotions and anger inside the body, OMMT, because of its active component, is expected to be more efficacious than pre-existing music therapies.Trial registrationCurrent Controlled Trials ISRCTN11939282. Trials. 2012 Sep 11;13(1):161. Park JS, Park S, Cheon CH, Jang BH, Lee SH, Chung SY, Kim JW, Jeon CY, Park JH, Shin YC, Ko SG. Music education for improving reading skills in children and adolescents with dyslexia. Dyslexia (or developmental dyslexia or specific reading disability) is a specific learning disorder that has a neurobiological origin. It is marked by difficulties with accurate or fluent recognition of words and poor spelling in people who have average or above average intelligence and these difficulties cannot be attributed to another cause, for example, poor vision, hearing difficulty, or lack of socio-environmental opportunities, motivation, or adequate instruction. Studies have correlated reading skills with musical abilities. It has been hypothesized that musical training may be able to remediate timing difficulties, improve pitch perception, or increase spatial awareness, thereby having a positive effect on skills needed in the development of language and literacy. To study the effectiveness of music education on reading skills (that is, oral reading skills, reading comprehension, reading fluency, phonological awareness, and spelling) in children and adolescents with dyslexia. We searched the following electronic databases in June 2012: CENTRAL (2012, Issue 5), MEDLINE (1948 to May Week 4 2012 ), EMBASE (1980 to 2012 Week 22), CINAHL (searched 7 June 2012), LILACS (searched 7 June 2012), PsycINFO (1887 to May Week 5 2012), ERIC (searched 7 June 2012), Arts and Humanities Citation Index (1970 to 6 June 2012), Conference Proceedings Citation Index - Social Sciences and Humanities (1990 to 6 June 2012), and WorldCat (searched 7 June 2012). We also searched the WHO International Clinical Trials Registry Platform (ICTRP) and reference lists of studies. We did not apply any date or language limits. We planned to include randomized controlled trials. We looked for studies that included at least one of our primary outcomes. The primary outcomes were related to the main domain of the reading: oral reading skills, reading comprehension, reading fluency, phonological awareness, and spelling, measured through validated instruments. The secondary outcomes were self esteem and academic achievement. Two authors (HCM and RBA) independently screened all titles and abstracts identified through the search strategy to determine their eligibility. For our analysis we had planned to use mean difference for continuous data, with 95% confidence intervals, and to use the random-effects statistical model when the effect estimates of two or more studies could be combined in a meta-analysis. We retrieved 851 references via the search strategy. No randomized controlled trials testing music education for the improvement of reading skills in children with dyslexia could be included in this review. There is no evidence available from randomized controlled trials on which to base a judgment about the effectiveness of music education for the improvement of reading skills in children and adolescents with dyslexia. This uncertainty warrants further research via randomized controlled trials, involving a interdisciplinary team: musicians, hearing and speech therapists, psychologists, and physicians. Cochrane Database Syst Rev. 2012 Aug 15;8:CD009133. Cogo-Moreira H, Andriolo RB, Yazigi L, Ploubidis GB, Brandão de Ávila CR, Mari JJ. Department of Psychiatry, Universidade Federal de São Paulo, São Paulo, Brazil. hugocogobr@gmail.com. Full title: Group music therapy for patients with persistent post-traumatic stress disorder - an exploratory randomized controlled trial with mixed methods evaluation. Objectives. Not all patients with post-traumatic stress disorder (PTSD) respond to cognitive behavioural therapy (CBT). Literature suggests group music therapy might be beneficial in treating PTSD. However, feasibility and effectiveness have not been assessed. The study objectives were to assess whether group music therapy was feasible for patients who did not respond to CBT, and whether it has an effect on PTSD symptoms and depression. Design. The study employed mixed methods comprising of an exploratory randomized controlled trial, qualitative content analysis of therapy, and patient interviews. Method. Patients with significant PTSD symptoms (n= 17) following completion of CBT were randomly assigned to treatment (n= 9) or control groups (n= 8). The treatment group received 10 weeks of group music therapy after which exit interviews were conducted. Control group patients were offered the intervention at the end of the study. Symptoms were assessed on the Impact of Events Scale-Revised and Beck Depression Inventory II at the beginning and end of treatment. Results. Treatment-group patients experienced a significant reduction in severity of PTSD symptoms (-20.18; 95% confidence interval [CI]: [-31.23, -9.12]) and a marginally significant reduction in depression (-11.92; 95%CI: [-24.05, 0.21]) at 10 weeks from baseline compared to the control. Patients viewed music therapy as helpful and reported experiences concur with current literature. Conclusions. Group music therapy appears feasible and effective for PTSD patients who have not sufficiently responded to CBT. Limitations include the small sample size and lack of blinding. Further research should address these limitations, test sustainability, and identify specific factors that address symptoms in treatment. Psychol Psychother. 2012 Jun;85(2):179-202. doi: 10.1111/j.2044-8341.2011.02026.x. Epub 2011 Jun 20. Carr C, d'Ardenne P, Sloboda A, Scott C, Wang D, Priebe S. East London Foundation NHS Trust, London, UK Unit for Social and Community Psychiatry, Queen Mary, University of London Guildhall School of Music & Drama, London, UK London School of Hygiene and Tropical Medicine, London, UK. Music-based interventions with children are an effective method in health and sickness treatment and in education systems. The engagement with music enables positive transfer effects on extra-musical developmental domains. Music therapy was applied primarily as a practically-oriented scientific discipline both within the framework of a multi-modal therapy approach as one treatment component and focused specifically on children with emotional disorders within a somatic therapy concept and in rehabilitation. The following narrative overview will present music therapy's working basis, treatment goals, and select outcome research in children from 2005-2010. There currently exists a substantial lack, even within empirical research, in relation to the application of music therapy to children. This is an opportunity to initiate a broad range of study for the future. Current challenges and opportunities in scientific, music-based intervention in the paediatric population lie in the concretization of differential indications (both in intervention approach and duration), replicable comparative therapy (alternated treatment-design), the application of a music-therapeutic placebo requirement, as well as in the verification and analysis of specific music therapeutic mechanisms. Music Therapy Research in the NICU: An Updated Meta-Analysis. Purpose: To provide an overview of developmental and medical benefits of music therapy for preterm infants.Design: Meta-analysis.Sample: Empirical music studies with preterm infants in the neonatal intensive care unit (NICU).Main Outcome: Evidence-based NICU music therapy (NICU -MT ) was highly beneficial with an overall large significant effect size (Cohen's d = 0.82). Effects because of music were consistently in a positive direction.Results: Results of the current analysis replicated findings of a prior meta-analysis and included extended use of music.1 Benefits were greatest for live music therapy (MT ) and for use early in the infant's NICU stay (birth weight <1,000 g, birth postmenstrual age <28 weeks). Results justify strong consideration for the inclusion of the following evidence-based NICU -MT protocols in best practice standards for NICU treatment of preterm infants: music listening for pacification, music reinforcement of sucking, and music pacification as the basis for multilayered, multimodal stimulation. Neonatal Netw. 2012 Sep 1;31(5):311-6. Standley J.
Auditory stimulation and cardiac autonomic regulation. Previous studies have already demonstrated that auditory stimulation with music influences the cardiovascular system. In this study, we described the relationship between musical auditory stimulation and heart rate variability. Searches were performed with the Medline, SciELO, Lilacs and Cochrane databases using the following keywords: "auditory stimulation", "autonomic nervous system", "music" and "heart rate variability". The selected studies indicated that there is a strong correlation between noise intensity and vagal-sympathetic balance. Additionally, it was reported that music therapy improved heart rate variability in anthracycline-treated breast cancer patients. It was hypothesized that dopamine release in the striatal system induced by pleasurable songs is involved in cardiac autonomic regulation. Musical auditory stimulation influences heart rate variability through a neural mechanism that is not well understood. Further studies are necessary to develop new therapies to treat cardiovascular disorders. Clinics (Sao Paulo). 2012 Aug;67(8):955-8. Valenti VE, Guida HL, Frizzo AC, Cardoso AC, Vanderlei LC, Abreu LC. Departamento de Fonoaudiologia, Faculdade de Filosofia e Ciências, Universidade Estadual Paulista, Marília, SP, Brazil. The effect of music-movement therapy on physical and psychological states of stroke patients. Aims and objectives. This study evaluated the effects of combined music-movement therapy on physical and psychological functioning of hospitalised stroke patients. Background. Few studies have focused on music-movement therapy's effects on physical and psychological functioning of stroke patients. Design. A quasi-experimental design with pre- and post-tests was used. Methods. A convenience sample was used: patients hospitalised for stroke and within two weeks of the onset of stroke were randomised to either an experimental group (received music-movement therapy in their wheelchairs for 60 minutes three times per week for 8 weeks) or control group (received only routine treatment). The effect of music-movement therapy was assessed in terms of physical outcomes (range of motion, muscle strength and activities of daily living) and psychological outcomes (mood states, depression), measured in both groups pre- and post-test. Results. The experimental group had significantly increased shoulder flexion and elbow joint flexion in physical function and improved mood state in psychological function, compared with the control group. Conclusions. Early rehabilitation of hospitalised stroke patients within two weeks of the onset of stroke was effective by using music-movement therapy. It improved their mood state and increased shoulder flexion and elbow joint flexion. Relevance to clinical practice. The findings of this study suggest that rehabilitation for stroke patients should begin as early as possible, even during their hospitalisation. Nursing practice should incorporate the concept of combining music and movements to improve stroke patients' physical and psychological states starting from the acute phase. J Clin Nurs. 2012 Sep 17. doi: 10.1111/j.1365-2702.2012.04243.x. Jun EM, Roh YH, Kim MJ. Authors: Eun-Mi Jun, PhD, RN, Associate Professor, Department of Nursing Science, Dong-eui University, Busan; Young Hwa Roh, BSN, RN, Nurse, Department of Nursing, Medwill Rehabilitation Hospital, Busan, Korea; Mi Ja Kim, PhD, RN, FAAN, Professor, Department of Biobehavioral Health Science, UIC College of Nursing, Chicago, IL, USA. Music Therapy Modulates Fronto-Temporal Activity in Rest-EEG in Depressed Clients. Fronto-temporal areas process shared elements of speech and music. Improvisational psychodynamic music therapy (MT) utilizes verbal and musical reflection on emotions and images arising from clinical improvisation. Music listening is shifting frontal alpha asymmetries (FAA) in depression, and increases frontal midline theta (FMT). In a two-armed randomized controlled trial (RCT) with 79 depressed clients (with comorbid anxiety), we compared standard care (SC) versus MT added to SC at intake and after 3 months. We found that MT significantly reduced depression and anxiety symptoms. The purpose of this study is to test whether or not MT has an impact on anterior fronto-temporal resting state alpha and theta oscillations. Correlations between anterior EEG, Montgomery-Åsberg Depression Rating Scale (MADRS) and the Hospital Anxiety and Depression Scale-Anxiety Subscale (HADS-A), power spectral analysis (topography, means, asymmetry) and normative EEG database comparisons were explored. After 3 month of MT, lasting changes in resting EEG were observed, i.e., significant absolute power increases at left fronto-temporal alpha, but most distinct for theta (also at left fronto-central and right temporoparietal leads). MT differed to SC at F7-F8 (z scored FAA, p < .03) and T3-T4 (theta, p < .005) asymmetry scores, pointing towards decreased relative left-sided brain activity after MT; pre/post increased FMT and decreased HADS-A scores (r = .42, p < .05) indicate reduced anxiety after MT. Verbal reflection and improvising on emotions in MT may induce neural reorganization in fronto-temporal areas. Alpha and theta changes in fronto-temporal and temporoparietal areas indicate MT action and treatment effects on cortical activity in depression, suggesting an impact of MT on anxiety reduction. Brain Topogr. 2012 Sep 16. Fachner J, Gold C, Erkkilä J. Department of Music, Finnish Centre of Excellence in Interdisciplinary Music Research, University of Jyväskylä, P.O. Box 35, 40014, Jyväskylä, Finland, jorg.fachner@jyu.fi. Adolescents' perceptions of music therapy following spinal fusion surgery. Aims and objectives. To explore adolescents' memories about music therapy after spinal fusion surgery and their recommendations for future patients. Background. Spinal fusion for adolescent idiopathic scoliosis is one of the most painful surgeries performed. Music therapy is shown to decrease postoperative pain in children after minor surgery. In preparation for developing a preoperative information program, we interviewed adolescents who had spinal fusion and postoperative music therapy to find out what they remembered and what they recommended for future patients. Methods. Eight adolescents who had spinal fusion for adolescent idiopathic scoliosis were interviewed about their experiences. For this qualitative study, the investigators independently used thematic analysis techniques to formulate interpretive themes. Together they discussed their ideas and assigned overall meanings to the information. Results. The eight participants were 13-17 years of age and had surgery between 2-24 months previously. The overarching themes identified from the interviews were relaxation and pain perception, choice and control, therapist interaction and preoperative information. Participants stated that music therapy helped with mental relaxation and distraction from pain. It was important to be able to choose the type of music for the therapy and to use self-control to focus on the positive. Their recommendation was that future patients should be provided with information preoperatively about music therapy and pain management. Participants recommended a combination of auditory and visual information, especially the experiences of previous patients who had spinal fusion and music therapy. Conclusion. Music provided live at the bedside by a music therapist was remembered vividly and positively by most of the participants. Relevance to clinical practice. The presence of a music therapist providing patient-selected music at the bedside is important. Methods to introduce adolescents to music therapy and how to use music for relaxation should be developed and tested. J Clin Nurs. 2012 Sep 18. doi: 10.1111/j.1365-2702.2012.04248.x. Kleiber C, Adamek MS. Authors: Charmaine Kleiber, PhD, RN, FAAN, Associate Professor, University of Iowa College of Nursing, Iowa City, IA; Mary S Adamek, PhD, MT-BC, Clinical Professor and Director of Music Therapy, School of Music, The University of Iowa, Iowa City, IA, USA. Long-term effects of the "Heidelberg Model of Music Therapy" in patients with chronic tinnitus. The "Heidelberg Model of Music Therapy for Chronic Tinnitus" is a manualized short term treatment (nine 50-minutes sessions of individualized therapy on five consecutive days). It has proven to be efficient in reducing tinnitus symptoms in the short run. Now the long-term impact of the treatment after up to 5.4 years should be explored. 206 patients who had attended the neuro-music therapy were addressed in a structured follow-up questionnaire survey. 107 complete questionnaires entered analysis. Follow-up time was 2.65 (SD 1.1) years. 76% of the patients achieved a reliable reduction in their tinnitus scores, the overall tinnitus distress as measured by the Mini-TQ diminished from 11.9 (SD = 4.9) to 7.4 (SD = 5.2) points, 87% of the patients were satisfied by the way they were treated during therapy, and 71% of the patients did not undergo any further treatment after. Evaluation of therapeutic elements displays, that only music therapy specific interventions were rated helpful by the patients. Tinnitus related factors (such as tinnitus pitch or loudness, time since onset) did not influence therapy outcome but female gender, positive therapeutic relationship, and higher initial Mini-TQ scores became apparent as factors predicting better chances for greater therapy success. The "Heidelberg Model of Music Therapy for Chronic Tinnitus" seems to be effective in the long run. The outcome effect size of d' = 0.89, can be accounted for as "large" effect and falls into the upper range value compared to established treatments. Int J Clin Exp Med. 2012;5(4):273-88. Epub 2012 Aug 22. Argstatter H, Grapp M, Hutter E, Plinkert P, Bolay HV. German Center for Music Therapy Research (Deutsches Zentrum für Musiktherapieforschung (Viktor Dulger Institut) DZM e.V.) Heidelberg, Germany. Music Therapy Reduces Pain in Palliative Care Patients: A Randomized Controlled Trial. Treatment of pain in palliative care patients is challenging. Adjunctive methods of pain management are desirable. Music therapy offers a nonpharmacologic and safe alternative. To determine the efficacy of a single music therapy session to reduce pain in palliative care patients. Two hundred inpatients at University Hospitals Case Medical Center were enrolled in the study from 2009 to 2011. Patients were randomly assigned to one of two groups: standard care alone (medical and nursing care that included scheduled analgesics) or standard care with music therapy. A clinical nurse specialist administered pre- and post-tests to assess the level of pain using a Numeric Rating Scale as the primary outcome, and the Face, Legs, Activity, Cry, Consolability Scale and the Functional Pain Scale as secondary outcomes. 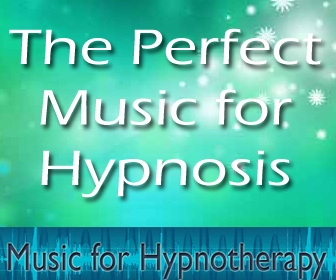 The intervention incorporated music therapist-guided autogenic relaxation and live music. A significantly greater decrease in Numeric Rating Scale pain scores was seen in the music therapy group (difference in means [95% CI] -1.4 [-2.0, -0.8]; P<0.0001). Mean changes in Face, Legs, Activity, Cry, Consolability scores did not differ between study groups (mean difference -0.3, [95% CI] -0.8, 0.1; P>0.05). Mean change in Functional Pain Scale scores was significantly greater in the music therapy group (difference in means -0.5 ([95% CI] -0.8, 0.3; P<0.0001). A single music therapy intervention incorporating therapist-guided autogenic relaxation and live music was effective in lowering pain in palliative care patients. J Pain Symptom Manage. 2012 Sep 24. pii: S0885-3924(12)00330-2. doi: 10.1016/j.jpainsymman.2012.05.008. Gutgsell KJ, Schluchter M, Margevicius S, Degolia PA, McLaughlin B, Harris M, Mecklenburg J, Wiencek C. University Hospitals Case Medical Center, Cleveland, Ohio, USA. Electronic address: kathy.gutgsell@uhhospitals.org. Full title: Impact of Music Therapy Interventions (Listening, Composition, Orff-Based) on the Physiological and Psychosocial Behaviors of Hospitalized Children: A Feasibility Study. The purpose of this study was to compare three music therapy strategies (music listening, music composition, and Orff-based active engagement) on physiological (heart rate, blood pressure, oxygen saturation, and pain) and psychosocial (anxiety) behaviors of hospitalized children (N=32, 17 females,15 males, ranging in age from 6 to 17). This study was designed and facilitated cooperatively by pediatric nurses and music therapists. Results indicated no clinically significant changes in heart rate, blood pressure, or oxygen saturation (p>.05). Pain and anxiety both decreased significantly (p=.01) but not differentiated among conditions. Videotape analysis determined level of engagement in coping-related behaviors. J Pediatr Nurs. 2012 Oct 1. pii: S0882-5963(12)00270-9. doi: 10.1016/j.pedn.2012.08.008. Colwell CM, Edwards R, Hernandez E, Brees K. The University of Kansas, Lawrence, KS. Electronic address: ccolwell@ku.edu. Role of music in intensive care medicine. Int J Crit Illn Inj Sci. 2012 Jan;2(1):27-31. Trappe HJ. Department of Cardiology and Angiology, University of Bochum, Germany. Full title: The effects of therapeutic instrumental music performance on endurance level, self-perceived fatigue level, and self-perceived exertion of inpatients in physical rehabilitation. The present study investigated the effects of a Neurologic Music Therapy (NMT) sensory-motor rehabilitation technique, Therapeutic Instrumental Music Performance (TIMP) as compared to Traditional Occupational Therapy (TOT), on endurance, self-perceived fatigue, and self-perceived exertion of 35 hospitalized patients in physical rehabilitation. The present study attempted to examine whether an active musical experience such as TIMP with musical cueing (i.e., rhythmic auditory cueing) during physical exercises influences one's perception of pain, fatigue, and exertion. All participants were diagnosed with a neurologic disorder or had recently undergone orthopedic surgery. Investigators measured the effects of TOT and TIMP during upper extremity exercise of the less affected or stronger upper extremity. Results showed no significant difference on endurance measures between the 2 treatment conditions (TIMP and TOT). Statistically significant differences were found between TIMP and TOT when measuring their effects on perceived exertion and perceived fatigue. TIMP resulted in significantly less perception of fatigue and exertion levels than TOT. TIMP can be used foran effective sensory-motor rehabilitation technique to decrease perceived exertion and fatigue level of inpatients in physical rehabilitation. J Music Ther. 2011 Summer;48(2):124-48. Lim HA, Miller K, Fabian C. Sam Houston State University and Huntsville Memorial Hospital, TX, USA. History of music therapy treatment interventions for children with autism. The purpose of this paper is to provide a systematic review of the history of music therapy research and treatment of children with autism. Understanding such history is important in order to improve clinical efficacy and inform future research. This paper includes a history of autism diagnosis, reviews strengths and limitations of music therapy practice with children with autism from 1940-2009, and suggests direction for future music therapy research and clinical practice with this population. Literature was limited to the English language and obtained with the following search terms: autism, autistic, (early) infantile autism, child, therapeutic music, musical therapy, and music therapy. Table of contents from music therapy journals were searched, and reference lists from obtained articles were perused for additional articles. This historical review focused primarily on journal articles, however, books and book chapters that appeared to hold particular historical significance were also included. J Music Ther. 2011 Summer;48(2):169-207. Reschke-Hernández AE. University of Missouri-Kansas City, MO, USA. The effect of background music on the perception of personality and demographics. This study seeks to discover stereotypes people may have about different music genres and if these stereotypes are projected onto an individual. Also, the study investigates if music therapy students are more or less biased than non-music majors in this regard. Subjects (N=388) were comprised of student members of the American Music Therapy Association (N=182) and students from a college in the southeastern United States who were not music majors (N=206). Subjects were asked to listen to a recording and complete a short survey. Subjects assigned to the control condition heard only a person reading a script. Subjects assigned to one of the four experimental conditions heard the same recording mixed with background music and ambient crowd noise, intended to simulate a live performance. Subjects were asked to rate the person in the recording on personality descriptors and predict demographic information in the survey. Many of the survey responses were significantly affected by the genre of music. For example, it was shown that when in the presence of rap or country music, all subjects rated the personality of the person in the recording significantly more negative than when in the presence of classical, jazz, or no music. There were no significant differences between the groups for any variable or condition when comparing survey responses between college students and AMTA student members. J Music Ther. 2011 Summer;48(2):208-25. Lastinger DL 5th. The Florida State University, FL, USA. The medicine of music: a systematic approach for adoption into perianesthesia practice. Patients awaiting surgical procedures often experience anxiety in anticipation of events that are uncomfortable, uncertain, and may include a health risk. High levels of anxiety result in negative physiological manifestations. Sedatives are regularly administered before surgery to reduce patient anxiety. However, sedatives often have negative side effects such as drowsiness and respiratory depression, and may interact with anesthetic agents, prolonging patient recovery and discharge. Therefore, increasing attention is being paid to a variety of nonpharmacological interventions for the reduction of preoperative anxiety. Music has been used in different medical fields to meet physiological, psychological, and spiritual needs of patients. It is a relatively inexpensive modality to implement, with low risk of side effects and possible significant benefits. This review was conducted with the intent to educate perianesthesia health care providers regarding the value of music therapy and provide guidelines for implementation, based on a comprehensive review of the literature. J Perianesth Nurs. 2011 Oct;26(5):323-30. Beccaloni AM. Emotional foundations of music as a non-pharmacological pain management tool in modern medicine. This paper reviews the use of music as an adjuvant to the control of pain, especially in medical procedures. Surgery causes stress and anxiety that exacerbates the experience of pain. Self-report of and physiological measures on post-surgical patients indicate that music therapy or music stimulation reduces the perception of pain, both alone and when part of a multimodal pain management program, and can reduce the need for pharmaceutical interventions. However, multimodal pain therapy, including non-pharmacological interventions after surgery, is still rare in medical practice. We summarize how music can enhance medical therapies and can be used as an adjuvant with other pain-management programs to increase the effectiveness of those therapies. As summarized, we currently know that musical pieces chosen by the patient are commonly, but not always, more effective than pieces chosen by another person. Further research should focus both on finding the specific indications and contra-indications of music therapy and on the biological and neurological pathways responsible for those findings (related evidence has implicated brain opioid and oxytocin mechanisms in affective changes evoked by music). In turn, these findings will allow medical investigators and practitioners to design guidelines and reliable, standardized applications for this promising method of pain management in modern medicine. Neurosci Biobehav Rev. 2011 Oct;35(9):1989-99. Bernatzky G, Presch M, Anderson M, Panksepp J. Department of Organismic Biology, Neurosignaling Unit, University of Salzburg, Hellbrunnerstr 34, A-5020 Salzburg, Austria. A tennis ball and music as a patient’s solution for pulsatile tinnitus. We present the case of a 74-year-old man with a pulsatile somatosound causing insomnia and day-time irritation. Given the lack of salvation after medical therapy the patient went in search for a solution and found it in a tennis ball and radio. In this case, the somatosound was due to an extracranial arteriovenous malformation, but the differential diagnosis of pulsatile somatosounds is quit extended, ranging form vascular disorders to tumoral processes. This makes these cases challenging for all caretakers. Full Title: Effects of music therapy on anxiety of patients with breast cancer after radical mastectomy: a randomized clinical trial. ABSTRACT: Aim. This paper is a report of a clinical trial of the effects of music therapy on anxiety of female breast cancer patients following radical mastectomy. Background. There is insufficient evidence on the effects of music therapy on state anxiety of breast cancer patients following radical mastectomy. Methods. A Hall's Core, Care, and Cure Model-based clinical trial was conducted in 120 female breast cancer patients from March to November 2009. A randomized controlled design was utilized. The patients were randomly allocated to the experimental group (n = 60) received music therapy in addition to routine nursing care, and the control group (n = 60) only received routine nursing care. A standardized questionnaire and the State Anxiety Inventory were applied. The primary endpoint was the state anxiety score measured at pretest (on the day before radical mastectomy) and at three post-tests (on the day before patients were discharged from hospital, the second and third time of admission to hospital for chemotherapy respectively). Results. The pretest score revealed that the majority of the patients had a moderate level (77•5%) and 15% had severe level of state anxiety. The repeated-measure ancova model analysis indicated that the mean state anxiety score was significantly lower in the experimental group than those in the control group at each of the three post-test measurements. The mean difference between the experimental and control group together with 95% confidence intervals were -4•57 (-6•33, -2•82), -8•91 (-10•75, -7•08) and -9•69 (-11•52, -7•85) at the 1st post-test, 2nd post-test and 3rd post-test respectively. Conclusion. Music therapy is found to have positive effects on decreasing state anxiety score. J Adv Nurs. 2011 Oct 6. doi: 10.1111/j.1365-2648.2011.05824.x. Li XM, Zhou KN, Yan H, Wang DL, Zhang YP. Xiao-Mei Li PhD RN Associate Professor, Dean Department of Nursing, College of Medicine, Xi'an Jiaotong University, China Kai-Na Zhou MSc RN Assistant Researcher Department of Nursing, College of Medicine, Xi'an Jiaotong University, China Hong Yan PhD Professor Department of Public Health, College of Medicine, Xi'an Jiaotong University, Shaanxi, China Duo-Lao Wang PhD Professor Department of Medical Statistics, Faculty of Epidemiology and Population Health, London School of Hygiene and Tropical Medicine, UK Yin-Ping Zhang PhD RN Associate Professor Department of Nursing, College of Medicine, Xi'an Jiaotong University, China. Music performance anxiety-part 2. a review of treatment options. Music performance anxiety (MPA) affects many individuals independent of age, gender, experience, and hours of practice. In order to prevent MPA from happening or to alleviate it when it occurs, a review of the literature about its prevention and treatment was done. Forty-four articles, meeting evidence-based medicine (EBM) criteria, were identified and analyzed. Performance repertoire should be chosen based on the musician's skill level, and it should be practiced to the point of automaticity. Because of this, the role of music teachers is essential in preventing MPA. Prevention is the most effective method against MPA. Several treatments (psychological as well as pharmacological) have been studied on subjects in order to determine the best treatment for MPA. Cognitive-behavioral therapy (CBT) seems to be the most effective, but further investigation is desired. Some musicians, in addition to CBT, also take beta-blockers; however, these drugs should only be prescribed occasionally after analyzing the situation and considering the contraindications and possible side effects. Despite these conclusions, more randomized studies with larger, homogeneous groups of subjects would be desirable (according to the EBM criteria), as well as support for the necessity of both MPA prevention and optimized methods of treatment when it does occur. Med Probl Perform Art. 2011 Sep;26(3):164-71. Brugués AO. Prat de la Riba, 84 7°-4, 25004 Lleida, Spain. Tel +34 626203052. youns84@hotmail.com. Therapeutic music and nursing in poststroke rehabilitation. Individuals who experience stroke undergo a critical rehabilitation process with the aid of professionals including physical, occupational, and speech therapists, as well as primary care from nursing staff. However, the extent of the role that music can play in facilitating the rehabilitation process is unknown. Board-certified music therapists are employed in several capacities within the rehabilitation environment. There is a need for nursing professionals in this area to better understand the role a music therapist may play and how they can assist clients in using music in a therapeutically beneficial way. The purpose of this article is to educate nurses about music therapy and provide evidence for the therapeutic use of music in the rehabilitation setting for victims of stroke. Full Title: Effects of music therapy on depression and duration of hospital stay of breast cancer patients after radical mastectomy. BACKGROUND: Breast cancer remains the most important cancer among women worldwide. The disease itself and treatment may have a profound impact on the patients' psychological well being and quality of life. Depression is common in breast cancer patients and affects the therapeutic effects as well as prolongs the duration of hospital stay. However, few studies reported the effectiveness of music therapy on depression and duration of hospital stay of female patients with breast cancer after radical mastectomy. METHODS: One hundred and twenty subjects were recruited to this clinical trial and randomly allocated to two groups. The experimental group (n = 60) received music therapy on the basis of routine nursing care, whereas the control group (n = 60) only received the routine nursing care. The whole intervention time was from the first day after radical mastectomy to the third time of admission to hospital for chemotherapy. Data of demographic characteristics and depression were collected by using the General Questionnaire and Chinese version of Zung Self-rating Depression Scale (ZSDS) respectively. One pre-test (the day before radical mastectomy) and three post-tests (the day before discharge from hospital, the second and third admission to hospital for chemotherapy) were utilized. Duration of hospital stay was calculated from the first day after radical mastectomy to the day of discharged from hospital. RESULTS: The mean depression score of all subjects was 37.19 ± 6.30. Thirty-six cases (30%) suffered from depression symptoms, with 26 (72.2%) mild depression cases, 9 (25.0%) moderate depression cases, and 1 (2.8%) severe depression case. After music therapy, depression scores of the experimental group were lower than that of the control group in the three post-tests, with significant differences (F = 39.13, P < 0.001; F = 82.09, P < 0.001). Duration of hospital stay after radical mastectomy of the experimental group ((13.62 ± 2.04) days) was shorter than that of the control group ((15.53 ± 2.75) days) with significant difference (t = -4.34, P < 0.001). CONCLUSIONS: Music therapy has positive effects on improving depression of female patients with breast cancer, and duration of hospital stay after radical mastectomy can be reduced. It is worthy of applying music therapy as an alternative way of nursing intervention in clinical nursing process of caring female patients with breast cancer. Chin Med J (Engl). 2011 Aug;124(15):2321-7. Zhou KN, Li XM, Yan H, Dang SN, Wang DL. School of Nursing, Medical College of Xi'an Jiaotong University, Xi'an, Shaanxi 710061, China. Music therapy for patients receiving spine surgery. AIMS AND OBJECTIVES: The aim of this study was to evaluate the effects of music therapy on anxiety, postoperative pain and physiological reactions to emotional and physical distress in patients undergoing spinal surgery. BACKGROUND: Surgery-related anxiety and pain are the greatest concern of surgical patients, especially for those undergoing major procedures. DESIGN: A quasi-experimental study design was conducted in a medical centre in Taiwan from April-July 2006. METHODS: Sixty patients were recruited. The study group listened to selected music from the evening before surgery to the second day after surgery. The control group did not listen to music. Patients' levels of anxiety and pain were measured with visual analogue scales (VAS). Physiological measures, including heart rate, blood pressure and 24-hour urinalysis, were performed. Results: The average age of the 60 patients was 62·18 (SD 18·76) years. The mean VAS score for degree of anxiety in the study group was 0·8-2·0, compared with 2·1-5·1 in the control group. The mean VAS score for degree of pain in the study group was 1·7-3·0, compared with 4·4-6·0 in the control group. The differences between the two groups in VAS scores for both anxiety (p = 0·018-0·001) and pain (p = 0·001) were statistically significant. One hour after surgery, the mean blood pressure was significantly lower in the study group than in the control group (p = 0·014), but no significant differences were found between the two groups in urine cortisol (p = 0·145-0·495), norepinephrine (p = 0·228-0·626) or epinephrine values (p = 0·074-0·619). CONCLUSIONS: Music therapy has some positive effects on levels of anxiety and pain in patients undergoing spinal surgery. RELEVANCE TO CLINICAL PRACTICE: Complementary music therapy can alleviate pain and anxiety in patients before and after spinal surgery. Full title: The effect of music therapy on physiological signs of anxiety in patients receiving mechanical ventilatory support. AIMS: The aim of this study was to investigate if relaxing music is an effective method of reducing the physiological signs of anxiety in patients receiving mechanical ventilatory support. BACKGROUND: Few studies have focused on the effect of music on physiological signs of anxiety in patients receiving mechanical ventilatory support. DESIGN: A study-case-control, experimental repeated measures design was used. METHOD: Sixty patients aged 18-70 years, receiving mechanical ventilatory support and hospitalised in the intensive care unit, were taken as a convenience sample. Participants were randomised to a control group or intervention group, who received 60 minutes of music therapy. Classical music was played to patients using media player (MP3) and headphones. Subjects had physiological signs taken immediately before the intervention and at the 30th, 60th and 90th minutes of the intervention. Physiological signs of anxiety assessed in this study were mean systolic and diastolic blood pressure, pulse rate, respiratory rate and oxygen saturation in blood measured by pulse oxymetry. Data were collected over eight months in 2006-2007. RESULTS: The music group had significantly lower respiratory rates, and systolic and diastolic blood pressure, than the control group. This decrease improved progressively in the 30th, 60th and 90th minutes of the intervention, indicating a cumulative dose effect. CONCLUSION: Music can provide an effective method of reducing potentially harmful physiological responses arising from anxiety. RELEVANCE TO CLINICAL PRACTICE: As indicated by the results of this study, music therapy can be supplied to allay anxiety in patients receiving mechanical ventilation. Nurses may include music therapy in the routine care of patients receiving mechanical ventilation. Full title: A randomised controlled trial of the effect of music therapy and verbal relaxation on chemotherapy-induced anxiety. AIMS: To determine the effect of music therapy and verbal relaxation on state anxiety and anxiety-induced physiological manifestations among patients with cancer before and after chemotherapy. BACKGROUND: Cancer and its treatment provoke a series of changes in the emotional sphere of the patient's anxiety. Music therapy and verbal relaxation had reported the anxiety reduction effect on patients with cancer receiving chemotherapy. Few studies have been undertaken comparing music therapy and verbal relaxation in differentiating high-normal state anxiety subsample. DESIGN: A randomised controlled trial and permuted block design were used. Outpatient chemotherapy clinic operated by a University medical centre in southern Taiwan. METHODS: Ninety-eight patients were randomised into three groups: the music therapy group received one-hour single music session; the verbal relaxation group received 30 minutes of guided relaxation; the control group received usual care. Spielberger State-Trait Anxiety Instrument, Emotional Visual Analog Scale, three biobehavioural indicators: skin temperature, heart rate and consciousness level were measured during and after chemotherapy. RESULT: Music therapy had a greater positive effect on postchemotherapy anxiety than verbal relaxation and control groups and a significantly increase in skin temperature. Patients with high state anxiety receiving music therapy had a greater drop in postchemotherapy anxiety than did the normal state anxiety subsample. CONCLUSIONS: Both music and verbal relaxation therapy are effective in reducing chemotherapy-induced anxiety. Thirty minutes of intervention initiates anxiety reduction. Patients with high state anxiety receiving chemotherapy obtain the most benefit from music or verbal relaxation. RELEVANCE TO CLINICAL PRACTICE: Prior to chemotherapy, patients with high state anxiety must be sorted from all patients as they are more responsive to interventions. Oncology nurses can offer music and verbal relaxation as adjuvant interventions to reduce chemotherapy-induced anxiety and enhance the quality of care. J Clin Nurs. 2011 Apr;20(7-8):988-99. doi: 10.1111/j.1365-2702.2010.03525.x. Lin MF, Hsieh YJ, Hsu YY, Fetzer S, Hsu MC. Department of Nursing, National Cheng Kung University, Tainan City, Taiwan. Infantile colic: A systematic review of medical and conventional therapies. Aim: Infantile colic is a prevalent and distressing condition for which there is no proven standard therapy. The aim of this paper is to review medical and conventional treatments for infantile colic. Methods: A systematic literature review was undertaken of studies on medical and conventional interventions for infantile colic from 1980 to March 2009. The results and methodological rigour of included studies were analysed using the CONSORT (Consolidated Standards Of Reporting Trials) 2001 statement checklist and Centre for Evidence Based Medicine critical appraisal tools. Results: Nineteen studies and two literature reviews were included for review. Pharmacological studies on Simethicone gave conflicting results and with Dicyclomine hydrochloride and Cimetropium bromide results were favourable but side effects were noted along with issues in study methodology. Some nutritional studies reported favourable results for the use of hydrolysed formulas in bottle-fed infants or low-allergen maternal diets in breastfed infants but not for the use of additional fibre or lactase. There were several issues in regards to methodological rigour. Behavioural studies on the use of increased stimulation gave unfavourable results, whereas results from the use of decreased stimulation and contingent music were favourable. These studies demonstrated poor methodological rigour. Conclusion: There is some scientific evidence to support the use of a casein hydrolysate formula in formula-fed infants or a low-allergen maternal diet in breastfed infants with infantile colic. However, there is little scientific evidence to support the use of Simethicone, Dicyclomine hydrochloride, Cimetropium bromide, lactase, additional fibre or behavioural interventions. Further research of good methodological quality on low-allergenic formulas and maternal diets is indicated. J Paediatr Child Health. 2011 Apr 7. doi: 10.1111/j.1440-1754.2011.02061.x. Hall B, Chesters J, Robinson A. Department of Rural and Indigenous Health, Faculty of Medicine, Nursing and Health Sciences, Monash University, Moe, Victoria, Australia. Individual music therapy for depression: randomised controlled trial. BACKGROUND: Music therapy has previously been found to be effective in the treatment of depression but the studies have been methodologically insufficient and lacking in clarity about the clinical model employed. AIMS: To determine the efficacy of music therapy added to standard care compared with standard care only in the treatment of depression among working-age people. METHOD: Participants (n = 79) with an ICD-10 diagnosis of depression were randomised to receive individual music therapy plus standard care (20 bi-weekly sessions) or standard care only, and followed up at baseline, at 3 months (after intervention) and at 6 months. Clinical measures included depression, anxiety, general functioning, quality of life and alexithymia. Trial registration: ISRCTN84185937. RESULTS: Participants receiving music therapy plus standard care showed greater improvement than those receiving standard care only in depression symptoms (mean difference 4.65, 95% CI 0.59 to 8.70), anxiety symptoms (1.82, 95% CI 0.09 to 3.55) and general functioning (-4.58, 95% CI -8.93 to -0.24) at 3-month follow-up. The response rate was significantly higher for the music therapy plus standard care group than for the standard care only group (odds ratio 2.96, 95% CI 1.01 to 9.02). CONCLUSIONS: Individual music therapy combined with standard care is effective for depression among working-age people with depression. The results of this study along with the previous research indicate that music therapy with its specific qualities is a valuable enhancement to established treatment practices. Br J Psychiatry. 2011 Apr 7. Erkkilä J, Punkanen M, Fachner J, Ala-Ruona E, Pöntiö I, Tervaniemi M, Vanhala M, Gold C. University of Jyväskylä, Finland. Full title: Effects of music therapy on pain among female breast cancer patients after radical mastectomy: results from a randomized controlled trial. Music therapy has been used in multiple health care settings to reduce patient pain, anxiety, and stress. However, few available studies have investigated its effect on pain among breast cancer patients after radical mastectomy. The aim of this study was to explore the effects of music therapy on pain reduction in patients with breast cancer after radical mastectomy. This randomized controlled trial was conducted at the Surgical Department of Oncology Center, First Affiliated Hospital of Xi'an Jiaotong University from March to November 2009. A total of 120 breast cancer patients who received Personal Controlled Analgesia (PCA) following surgery (mastectomy) were randomly allocated to two groups, an intervention group and a control group (60 patients in each group). The intervention group accepted music therapy from the first day after radical mastectomy to the third admission to hospital for chemotherapy in addition to the routine nursing care, while the control group received only routine nursing care. Pain scores were measured at baseline and three post-tests using the General Questionnaire and Chinese version of Short-Form of McGill Pain Questionnaire. The primary endpoint was the change in the Pain Rating Index (PRI-total) score from baseline. Music therapy was found to reduce the PRI-total score in the intervention group significantly compared with the control group with a mean difference (95% CI) of -2.38 (-2.80, -1.95), -2.41 (-2.85, -1.96), and -1.87 (-2.33, -1.42) for the 1st, 2nd, and 3rd post-tests, respectively. Similar results were found for Visual Analogue Scale (VAS) and Present Pain Intensity (PPI) scores. The findings of the study provide some evidence that music therapy has both short- and long-term positive effects on alleviating pain in breast cancer patients following radical mastectomy. Breast Cancer Res Treat. 2011 May 3. Li XM, Yan H, Zhou KN, Dang SN, Wang DL, Zhang YP. Department of Nursing, Xi'an Jiaotong University College of Medicine, Xi'an, 710061, People's Republic of China. Full title: Music therapy may increase breastfeeding rates among mothers of premature newborns: a randomized controlled trial. OBJECTIVE: To evaluate the impact of music therapy on breastfeeding rates among mothers of premature newborns. METHOD: In this open randomized controlled trial, mothers of premature neonates weighting = 1,750 g were submitted to music therapy sessions three times a week for 60 minutes. The endpoints were breastfeeding rates at the moment of infant hospital discharge and at follow-up visits (7-15 days, 30 and 60 days after discharge). RESULTS: A total of 94 mothers (48 in the music therapy group and 46 in the comparison group) were studied. Breastfeeding was significantly more frequent in the music therapy group at the first follow-up visit [relative risk (RR) = 1.26; 95% confidence interval (95%CI) = 1.01-1.57; p = 0.03; number needed to treat (NNT) = 5.6]. Moreover, this group showed higher breastfeeding rates at the moment of infant discharge (RR = 1.22; 95%CI = 0.99-1.51; p = 0.06; NNT = 6.3) and at days 30 and 60 after discharge (RR = 1.21; 95%CI = 0.73-5.6; p = 0.13 and RR = 1.28; 95%CI = 0.95-1.71; p = 0.09, respectively), but those results were not statistically significant. CONCLUSIONS: This study demonstrated that music therapy had a significant effect in increasing breastfeeding rates among mothers of premature newborns at the first follow-up visit, and also a positive influence (although not significant) that lasted up to 60 days after infant discharge. Music therapy may be useful for increasing breastfeeding rates among mothers of premature newborns. J Pediatr (Rio J). 2011 May-Jun 8;87(3):206-12. Epub 2011 Apr 1. Vianna MN, Barbosa AP, Carvalhaes AS, Cunha AJ. Universidade Federal do Rio de Janeiro (UFRJ), Rio de Janeiro, RJ, Brazil. Full title: The Effect of Music Therapy on Hospitalized Psychiatric Patients' Anxiety, Finger Temperature and Electroencephalography: A Randomized Clinical Trial. Purpose. This study aimed to explore the effectiveness of music therapy in reducing anxiety in hospitalized psychiatric patients.Methodology. The authors used a randomized clinical trial design and randomly allocated the 24 enrolled participants to the experimental or the control group. Patients in the experimental group received music therapy in a therapy room at a set time for 30 min each morning for 11 days. The authors administered the Beck Anxiety Inventory (BAI) and measured skin temperature and brain waves to determine anxiety level before, during, and after music therapy.Results. Experimental group participants had lower scores on the BAI than control participants, after the music therapy (z = -2.0, p < .05) and at 1-week follow-up (z = -2.2, p < .05), indicating that they were experiencing significantly less anxiety. The mean BAI anxiety score fell in the experimental group from 23.9 (SD = 9.9) at baseline to 13.9 (SD = 8.8), after music therapy, and 12.7. (SD = 10.5) at follow-up. The experimental group demonstrated a significant elevation in the average alpha electroencephalographic (EEG) percentage (from 38.1% to 46.7%) and a reduction in the average beta EEG percentage (from 61.9% to 53.4%) after the music therapy. After adjusting for change in patient finger temperature on the first day, mean change in finger temperature did not differ significantly between the experimental and control groups.Conclusions. Music therapy can relieve anxiety in hospitalized psychiatric patients and help them achieve a state of relaxation. Biol Res Nurs. 2011 May 17. Yang CY, Chen CH, Chu H, Chen WC, Lee TY, Chen SG, Chou KR. Tinnitus retraining therapy using portable music players. OBJECTIVE: We aimed to perform acoustic analysis of environmental sounds used in sound therapy for tinnitus retraining therapy (TRT) and to evaluate the efficacy of TRT performed by using a portable music player (PMP) with recorded environmental sounds as the sound generator. METHODS: Acoustic analysis of environmental sounds was performed using a sound analyzer. The subjects were 23 patients with chronic tinnitus. Patients who had bilateral hearing loss and required hearing assistance were fitted with hearing aids (HAs). Patients with normal hearing or unilateral hearing loss were fitted with a tinnitus control instrument (TCI) or a PMP. The patients were divided into the PMP group, TCI group, and HA group. All subjects underwent audiometric evaluations prior to TRT and completed the tinnitus handicap inventory (THI). The THI scores were evaluated before treatment and 1 month, 3 months, 6 months, and 12 months after treatment. RESULTS: The sound spectrogram of the murmur of a stream showed a wide-frequency band with a constant strength, whereas that of a wave sound showed a wide-frequency band with variable strength. The THI score clearly decreased after 1 month, and this decrease tended to continue over 12 months. The TRT efficacy ratios in the PMP group, TCI group, and HA group at 12 months after treatment were 71%, 67%, and 70%, respectively. CONCLUSIONS: TRT using a PMP had efficacy similar to those of TCI and HA. The murmur of a stream was one of the most effective sounds in TRT. TRT using a PMP as the sound generator can provide the most cost-effective treatment option for tinnitus patients. Auris Nasus Larynx. 2011 May 19. Fukuda S, Miyashita T, Inamoto R, Mori N. Department of Otolaryngology, Faculty of Medicine, Kagawa University, Kagawa 761-0793, Japan. The role of music therapy in palliative medicine and supportive care. This paper is designed to provide an introduction to music therapy in the continuum of cancer care. The value and use of music therapy during diagnosis and treatment, palliation, hospice, actively dying, and bereavement have been well documented. The music therapy process will be identified, research will be shared, and the importance and role of music therapy in palliative medicine and supportive cancer care discussed. Music therapy is invaluable throughout the entire cancer treatment process. Semin Oncol. 2011 Jun;38(3):403-6. Gallagher LM. The Cleveland Clinic Arts and Medicine Institute, Cleveland, OH; Harry R. Horvitz Center for Palliative Medicine (a World Health Organization Demonstration Project), Cleveland Clinic Taussig Cancer Center, Cleveland, OH. Full title: Exploring nursing staff's attitudes and use of music for older people with dementia in long-term care facilities. Aims. This study aimed to explore nursing staff's attitudes and use of music for older people with dementia in long-term care facilities. Background. Music has shown positive outcomes in managing behavioural symptoms of older people with dementia. Older people living in long-term care facilities often do not have access to trained music therapists. Nursing staff provide the majority of direct care for institutionalised older people with dementia, therefore, will be the most appropriate personnel to learn and implement music therapy for those with dementia. To date, no studies have explored nursing staff's attitudes and use of music for those with dementia. Design. A cross-sectional research design was used. Methods. A convenience sample of 285 nursing staff caring for those with dementia in long-term care facilities in Taiwan were recruited. Participants received a self-administered questionnaire consisted of items exploring nursing staff's attitude and use of music for those with dementia. A total of 214 participants completed the questionnaires, giving a response rate of 75·1%. Results. Most nursing staff held positive attitudes towards use of music for older people with dementia (mean = 84·89, range 23-115), but only 30·6% (n = 66) had used music for those with dementia in practice. The majority perceived that they had limited knowledge and skills about use of music (72·9%). Over half of the participants reported that they lacked resources and time to implement music therapy in practice. Conclusions. Nursing staff need more formal training to use music for those with dementia. Nursing staff can be the suitable personnel to learn easily and implement music therapy as a part of routine activity programmes for those with dementia. Relevance to clinical practice. Appropriately trained nursing staff in long-term care facilities who use music therapy may help improve the mental health of older people with dementia. J Clin Nurs. 2011 Jun;20(11-12):1776-1783. doi: 10.1111/j.1365-2702.2010.03633.x. Epub 2011 May 5. Sung HC, Lee WL, Chang SM, Smith GD. Authors: Huei-Chuan Sung, PhD, RN, Associate Professor, Department of Nursing, Tzu Chi College of Technology & Tzu Chi University and Supervisor, Department of Nursing, Tzu Chi Medical Centre; Wen-Li Lee, MSc, Senior Lecturer, Department of Radiological Technology, Tzu Chi College of Technology; Shu-Min Chang, MSN, RN, Senior Lecturer, Department of Nursing, Tzu Chi College of Technology, Hualien, Taiwan; Graeme D Smith, BA, PhD, RGN, Senior Lecturer, Nursing Studies, School of Health in Social Science, University of Edinburgh, Edinburgh, UK.